The Probiotic Face Cream from Yoghurt or Bulgaria nourishes and moisturises the skin thanks to the active natural ingredients. A surprising concentrate for the youth and beauty of your skin! 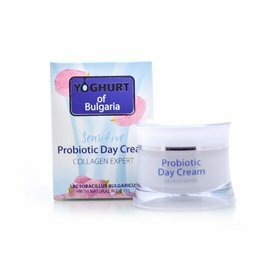 The Probiotic Face Cream from Yoghurt of Bulgaria nourishes and moisturises the skin thanks to the active natural ingredients. It contains hydrolysed protein from Bulgarian yoghurt and natural Bulgarian rose oil, which significantly increases hydration. UV filters containing pigmentation spots are included in the composition of the cream. The skin becomes smoother and more radiant! With its light and delicate texture, the face cream is suitable for normal, normal to dry and dry to sensitive skin. The high efficacy of the Yoghurt of Bulgaria Face Cream is due to its exceptional ingredients, probiotic yogurt and Bulgarian natural rose oil, which prevents the first signs of aging without irritating the eyes. 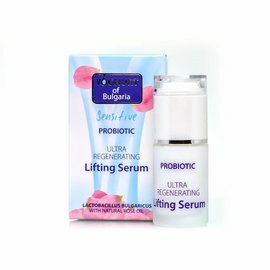 The hydrolyzed protein of the yogurt and pure rose oil are the main ingredients of this probiotic product with a very good quality-price ratio. 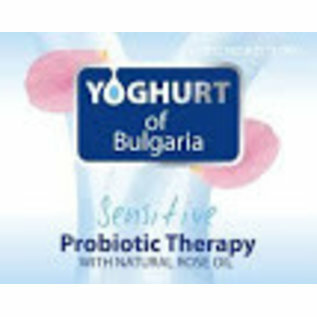 The probiotic yogurt is synthesized from living bacteria of Lactobacillus bulgaricus and isolated by an advanced technological process. Bulgarian rose oil provides an intense nourishing and firming effect. The Yoghurt of Bulgaria products give oxygen to every type of skin that benefits everyone. The result is a soft, smooth and renewed skin that also smells delicious. ✔Contains natural rose oil and extract of Bulgarian yoghurt. ✔Appreciable and pleasant cream suitable for daily skin care. Apply in the morning and evening to thoroughly cleansed skin and gently massage until completely absorbed. For best results, use this face cream together with the rest of the products from the Yoghurt of Bulgaria cosmetics line. 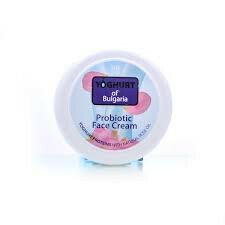 YOGHURT of BULGARIA PROBIOTIC FACE CREAM at NATURAL BIO STORE!